Indian PM Narendra Modi strikes at the heart of crony capitalism with new law to confiscate the assets of fugitives who flee the Indian judicial system to other jurisdictions, writes India Inc. Founder & CEO Manoj Ladwa. Most Indians had not heard of Nirav Modi prior to the beginning of this year. Fewer still had heard of Mehul Choksi, Nirav Modi’s uncle and allegedly his partner in crime. Both are fugitives from the law in India. The former’s whereabouts are currently unknown and the latter has “bought” a citizenship of Antigua. Their crime: they engineered a $2-billion scam at the public sector Punjab National Bank and fled the country when their misdeeds came to light. The once high-flying Vijay Mallya, who had earned the sobriquet of King of Good Times by virtue of his flashy lifestyle, is also a member of the Modi-Choksi club. He fled the country leaving unpaid bank loans, along with interest, of about $1.5 billion. Till date, the Indian authorities have been able to retrieve only a paltry amount from these economic offenders. But that will change going forward. In keeping with its promise to curb corruption, particularly at high levels, and its pledge to weed out the shadow (black in local parlance) economy, the Modi government has steered the Fugitive Economic Offenders Bill 2018 through the two houses of Parliament. In a nutshell, the Bill, which will become law when the President of India signs it, targets loan defaulters, fraudsters and those who break laws on taxes, deal in black money and amass benami properties. The minimum money threshold for the law to take effect is Rs 100 crore ($15 million). The law allows the authorities to confiscate all the properties and assets of individuals who try to evade the Indian legal system by escaping to other jurisdictions – even before their formal conviction. Once a court classifies an individual as a fugitive, he/she will not have the right to pursue civil cases unless they return to India and face prosecution. The law was first announced by Union Minister Arun Jaitley in his Union Budget 2017 to rein in wilful defaulters such as Mallya. But since the relevant bill could not be passed by Parliament, the Modi government decided not to waste time and instead promulgated an Ordinance to bring the law into force. 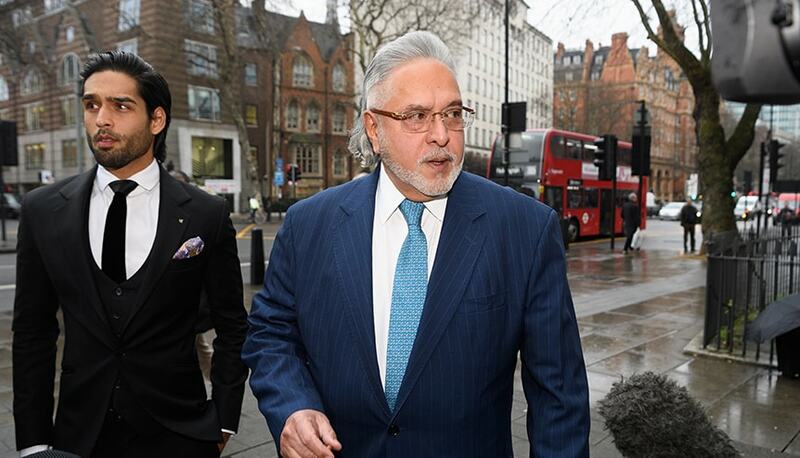 Mallya, who had mocked the government of India on television, asking the authorities to “dream on” about recovering the billions of dollars he owes banks and other creditors, and even dubbed the charges as “politically motivated”, has begun displaying signs of nervousness. In June, a month ahead of the passage of the bill in Parliament, he made an offer to put assets worth about $2 billion (his estimate) on the block to repay his dues. The swagger and the sense of entitlement were gone – and replaced with a pragmatism stemming from a realisation that the Modi government means business. The government told Parliament that 28 Indians have fled the country between 2015 and June 2018 after committing financial irregularities. The new law will ensure that even if future offenders manage to flee India, they will not be able to enjoy any benefits from their crimes. Legal experts are unsure about how the courts will view a law that allows the government to seize assets of individuals even before they are convicted. This will almost certainly be tested legally, but till that happens, the Modi government has forcefully answered the critics who accused him of dragging his feet in the battle against corruption, though, to be fair, all the scams now surfacing – be it Mallya’s shenanigans or Nirav Modi-Mehul Choksi’s disappearing act and many others – had their genesis during the UPA years. Painful but necessary structural reforms such as demonetisation and Goods and Services Tax (GST) have already brought large numbers and huge amounts of hitherto unreported transactions within the tax net. The law to confiscate the assets of fugitive economic offenders is the latest in a long list of initiatives taken by the Modi government in its efforts to weed out crimes, resulting primarily from crony capitalism that was encouraged by earlier regimes.